From 2pm to 6pm : Puppet workshop : Create your own sock puppet, decorate and customize it. Children will make their own puppet and can then play them in a Puppet Theater. Mandatory registration at the Tourist Office. From 3.00pm to 5.00pm : Arc tag : Game of strategy where two teams confront each other with (foam) bows and arrows in an arena laid out with several inflatables offering shelter and somewhere to hide! The aim is to score a maximum number of points in the marked targets while avoiding being hit by your opponent. From Wednesday 4 to Saturday 7 April 2018 between 2.30 PM and 7 PM. 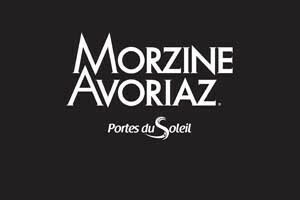 Website "Morzine, royaume des marmots hiver 2018 "
Spectacle "Le mur des 100 tours"
Espace "Crusoé, l'île des naufragés"